The Frozen Mountain, that is. The first major expansion came to Turn 10’s Australia-based driving game on December 13th for both Windows 10 and the Xbox One, and it brings new environments, cars, and more to Forza Horizon 3. 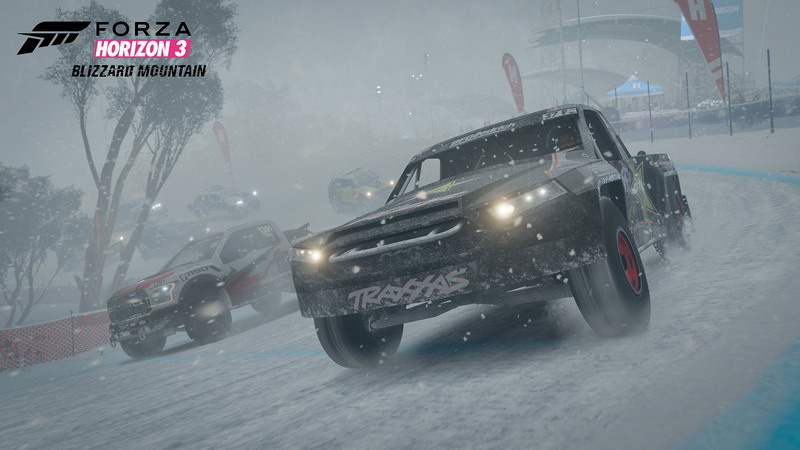 Some of these new cars coming to Forza Horizon 3 include the 2016 Ford Focus RS RX, 1985 Lancia Delta S4, the 1975 Lancia Stratos HF, plus a couple of trucks, a hidden car, and more. Moving away from the cityscapes, jungles, and open plains of Australia has its perks too, as Turn 10 has added new skies and enhanced rendering techniques for the Xbox One S and 4K ready PC rigs. 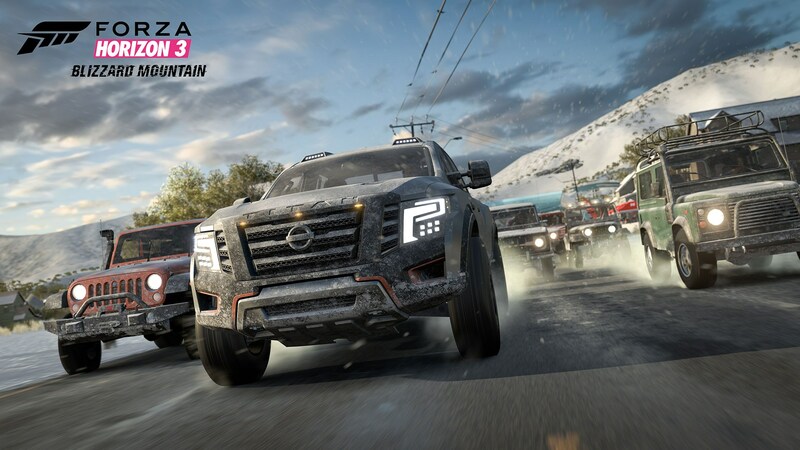 Blizzard Mountain is available now as a standalone purchase, for $19.99 USD, or as part of the Expansion Pass package, which nets two Forza Horizon 3 expansions for a lower price, and you can’t beat that. Ready for a frozen adventure? Well, the wait is over, because the Blizzard Mountain Expansion for Forza Horizon 3 is here! 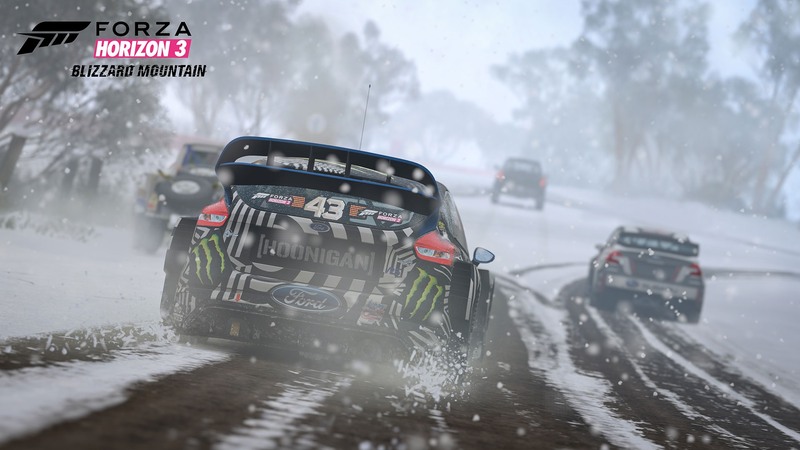 Available today in the Microsoft Store as a standalone purchase or included as part of the Forza Horizon 3 Expansion Pass, Blizzard Mountain invites players to the snowy elevations of a brand new playable area of Forza Horizon 3’s Australia. This is a place where speedy vehicles are welcome, ice and blizzard conditions are the norm, and snow tires are heartily recommended. For players on Xbox One S with HDR-ready hardware Blizzard Mountain is a visual treat. 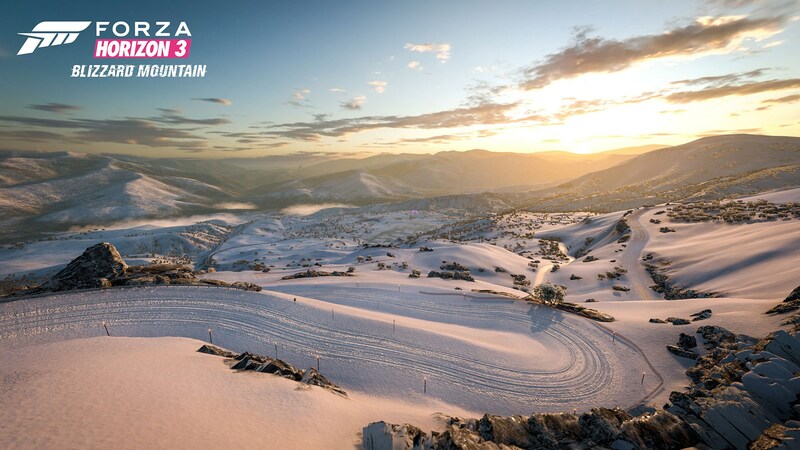 HDR allows you to see detail in the beautiful snow-covered terrain of Blizzard Mountain like never before thanks to the expanded contrast range available on the Xbox One S. Together with HDR, our physics-based rendering system ForzaTech brings even more accuracy to the experience, with sunlight bouncing off the snow and the ice, and frozen lakes glistening under the mountain’s all-new Australian winter skies, all immersing you in a completely authentic winter wonderland. 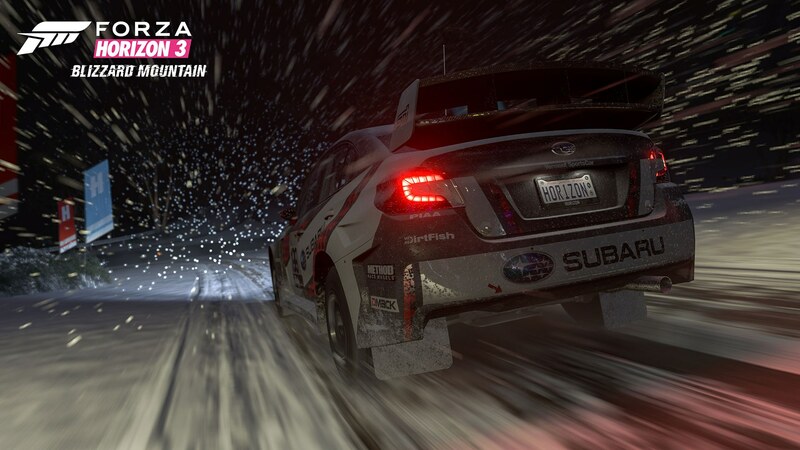 Blizzards add to the challenge as they reduce visibility, but also, are a thing of beauty, as HDR allows you to see the sparkling detail of each falling snowflake in the unique glow of your favorite car’s headlights. In other words, gather your friends around that brand new 4K UHD TV and watch their eyes light up when you make your way to Blizzard Mountain on Xbox One S. For more on HDR gaming on Xbox One S, head over to Xbox.com, or read our HDR and 4K Gaming Primer. [UPDATE 12/13 6:35 p.m. Pacific] – Earlier today, players were having difficulty accessing Blizzard Mountain in game due to “Marketplace Errors.” After investigation, we have identified and fixed this error so players should no longer be seeing this error and should be able to access Blizzard Mountain expansion content as normal. For more information, check out the thread on the Forza Forums. 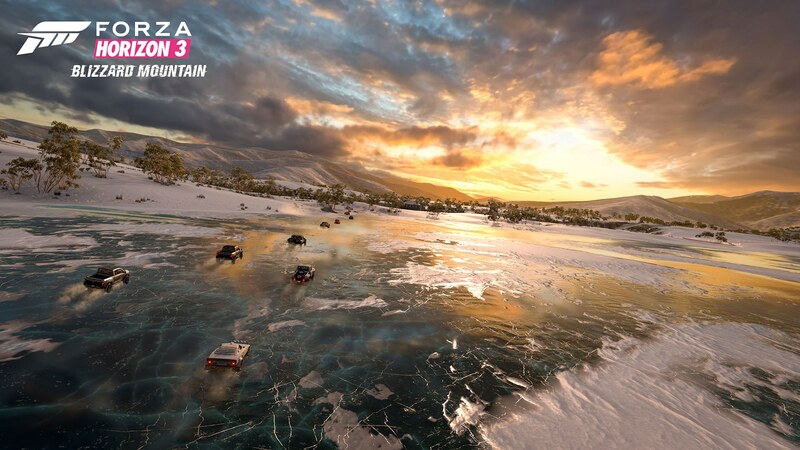 To celebrate the launch of the Blizzard Mountain expansion for Forza Horizon 3, we’re hosting a day-long stream showing off the best of what the mountain has to offer over on the official Forza Beam channel, where we’ll be playing the expansion, checking out all the cool new cars and trucks, and answering your questions along the way. Time to enjoy the snow!